In the 1950s, it was a selling point if a car was convertible for sleeping purposes, and this advantage would be highlighted in advertising. Hotel rooms were expensive, and if a business traveller or a family on holiday could sleep in their car they could make big savings. ‘The PV544 is just as comfortable to sleep in as it is to drive,’ said a Swedish advertising film from 1958 - to name but one example. In the advertising image from the late 1950s, this model has taken the form of a PV544. The fact that it is a 544 is visible due to the larger rear window and because seat belts are fitted. 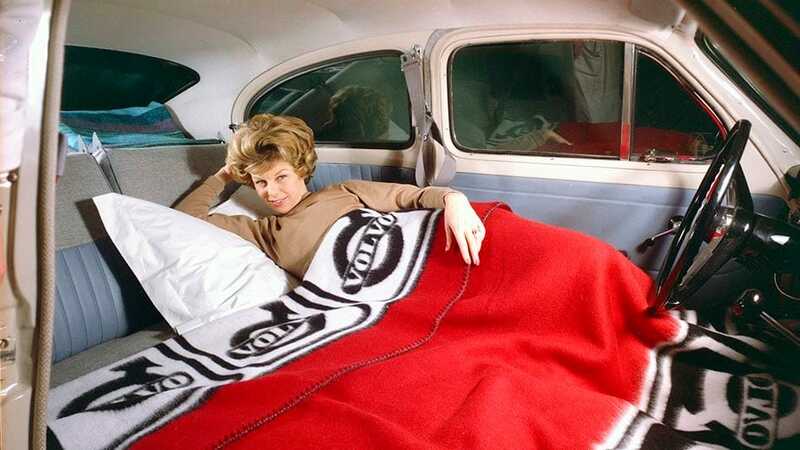 The woman is snugly tucked under blankets that could be bought from Volvo dealers. The fact that she is holding out her left hand and showing her wedding ring is very conscious. In this picture, she is also alone - and only one pillow is visible. Showing men and women sleeping together in cars was otherwise acceptable - but it had to be clear that they were married. Saab had discovered this the hard way when they had used an image in an advert where the young woman appeared not to be wearing a wedding ring. The photo was criticised by the ‘Daughters of the American Revolution’ organisation and was later replaced. Spending the night in a car required planning. Volvo produced several booklets in which they provided instructions on how to set up bedding in a PV. 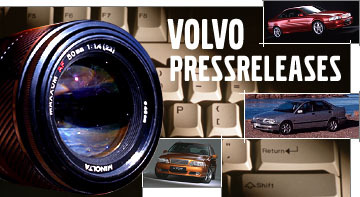 Volvo also offered special bed support kits. This consisted of two support beams and four leather trim locks. Transforming your PV544 into a bedroom required all seat elements - apart from the cushions of the front seats - to be moved around the car in order to create a reasonably even bed for two. This meant it took rather a lot of planning and work before lights out at the end of the day. A moment in Volvo's history.